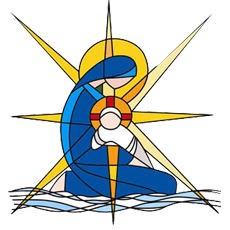 The school has a systemic approach to enrolment based on preset criteria defined by the Catholic Schools Office and used by all schools in the diocese of Broken Bay. If it is that time of year when we are preparing for enrolments you will see relevant and up to date information here about events such as our School Tour and information night. Click here for the Enrolment Policy. The current enrolment is approximately 569 children. In line with a desire for a more inclusive enrolment policy, all families seeking enrolment who support the school’s ethos will be considered for enrolment. We recognise that some families may feel that the financial costs may be too great and wish to emphasise that we will work with families to make Catholic schooling available to those who genuinely desire it. Enrolment application packages for Kindergarten are available from this website or the school office, from March through to May of the year prior to starting school. Forms in this package need to be completed and returned to the school office by the end of May. An important part of the enrolment process is an interview between prospective parents, the child and the Principal or Assistant Principal. The child will also attend a Kindergarten screening, which takes place on nominated days prior to enrolment. The screening process assists in assessing the readiness of the child to begin school. There is one general admission of children to Kindergarten each year. In the case of excessive applications, enrolment offers will be based on the Diocesan Enrolment Policy. The enrolment application package for other years may be obtained any time. An important part of the enrolment process is an interview between prospective parents, the child and the Principal which will occur once the enrolment forms have been submitted.